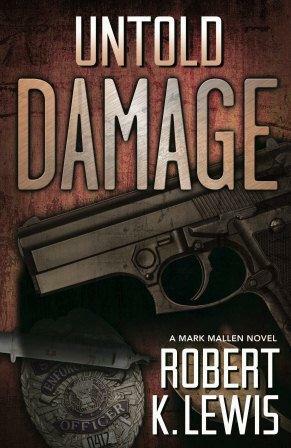 Recommended to: Readers who enjoy dark, gritty thrillers with strong male leads. Now Mallen's former colleagues on the force are turning up the heat and Russ's survivors are in desperate need of answers. But if he wants to serve justice to the real killer, Mallen knows he'll have to get clean. Turning a life around is murder for a junkie, especially when two low-life thugs want him dead. Bruised, battered, and written off by nearly everyone, Mallen must make amends for his damaged past and restore hope for a better future. Mark Mallen is a man on his way back up. Once an undercover cop, his life hit a downward spiral after he became addicted to heroin. I appreciated how realistic Mallen's character was. There is a truth to the way that he functions as a recovering junkie. In fact, it is the struggle that he goes through, both mentally and physically, that makes him so easy to connect with. You don't have to have experience with withdrawals to know what Mark is going through. He shows you. In the same respect, the underground world of drugs and violence isn't sugar coated. Living in the "Loin" is portrayed as a daily battle. Robert K. Lewis shows the reader how dark things can get in the parts of town other people avoid. However it isn't all darkness. For every person who holds him back, there is one who builds Mallen back up. I rather liked that he had a few guardian angels here and there. My biggest issue with this read was really just that the majority of it is dialogue. As a less frequent reader of crime thrillers like this, I'm not sure if this is the norm. However I would have liked to see more action, more suspense, and maybe a little bit more of the dark world Mallen had fallen into. I feel like I would have been more immersed. The ending did surprise me, and I'll admit that upon finishing I was rather intrigued at what is coming next. It seems this is being written as a series! If that's the case, I'd be willing to follow Robert K. Lewis further in. 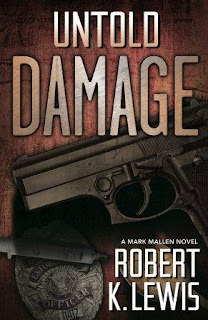 If you are a fan of books that mesh crime thrillers and mysteries, Untold Damage is definitely a book to check out.